Perry’s Boat Harbor is nested along the Sacramento-San Joaquin River Delta in the City of Isleton, California. The marina dock slips needed replacement but the dock cover was in serviceable condition. 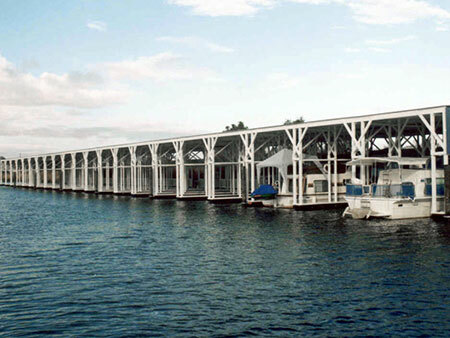 Mid-Cal was challenged to save the huge cover structures, while completely replacing the floating dock slips below. With an innovative new approach, Mid-Cal did just that, saving our customer hundreds of thousands of dollars. To find out how Mid-Cal Construction can help you with a similar project, please contact us at (209) 832-4400.